Your bath is the perfect place to catch up on a spot of reading. So, we’ve come up with our own top 10 best books to read in the bath. Will you agree with our selection? It’s the one place you can genuinely get away from it all, lock the door and filter out the hustle and bustle of everyday life. 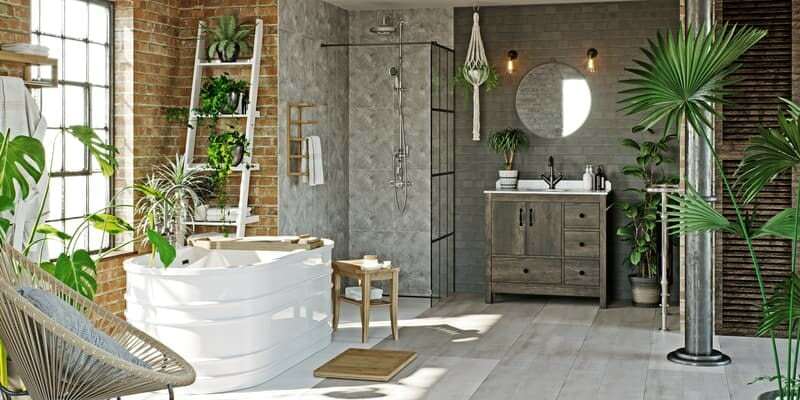 The bathroom is your own private sanctuary where you can truly relax, unwind and switch off. Whilst some of us enjoy a thorough cleansing beneath an invigorating shower, there are still plenty of us who love to make time for a nice hot bath. There’s something quite magical about how a bath can soothe aching muscles, whilst allowing us to feel at peace with ourselves. Many find it to be the perfect place to meditate and empty their mind of thoughts, whilst others enjoy keeping themselves entertained by listening to music in the bathroom. 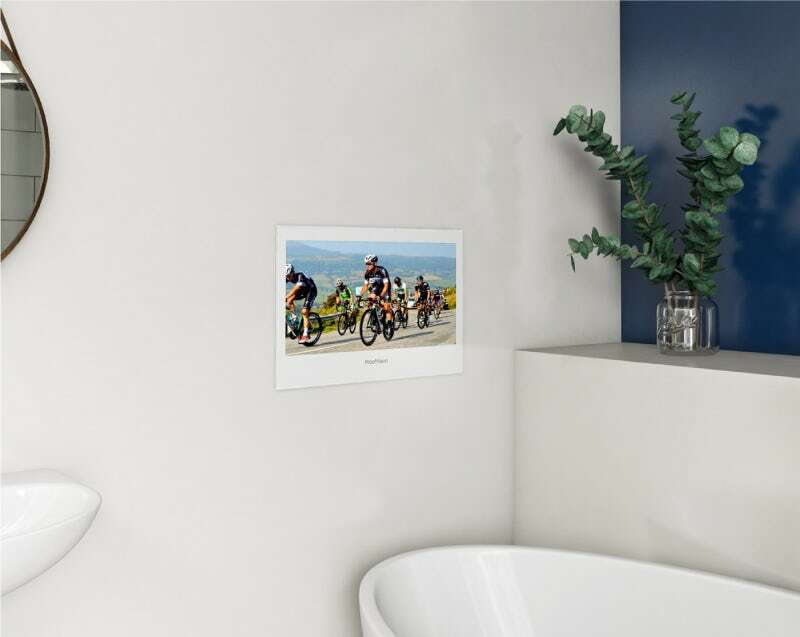 And, if you really can't miss a second of your favourite TV show, there are even splashproof bathroom televisions available. Another excellent way to relax in the bath is by getting lost in a good book. But why is reading in the bath such a popular pastime? Why are books so good for relaxing? Unlike other activities, like watching TV, browsing your phone, or even skimming through a newspaper, reading a book encourages deep thinking, where you force different parts of your brain to make connections. In turn, these connections will work faster and more efficiently, helping to keep your brain quick and active. It can also help you empathise with the world around you. By reading up on a subject you knew little about, you should demonstrate a greater understanding as you go about your everyday life. As the old saying goes, knowledge is power. Of course, reading a book in the bath doesn’t come without its risks. Being made out of paper, books can easily soak up moisture when coming into contact with bath water and, (heaven forbid) can be totally ruined if you accidentally drop them into the bath. The growing popularity of electronic E readers now poses an even greater risk! Aside from laminating your books, which would be a little excessive, we would recommend buying a waterproof case for any E reader and buying a bath board for your book. The one pictured below is ideal, as it comes complete with a bracket, so you can prop up your book or E reader, without having to hold it. 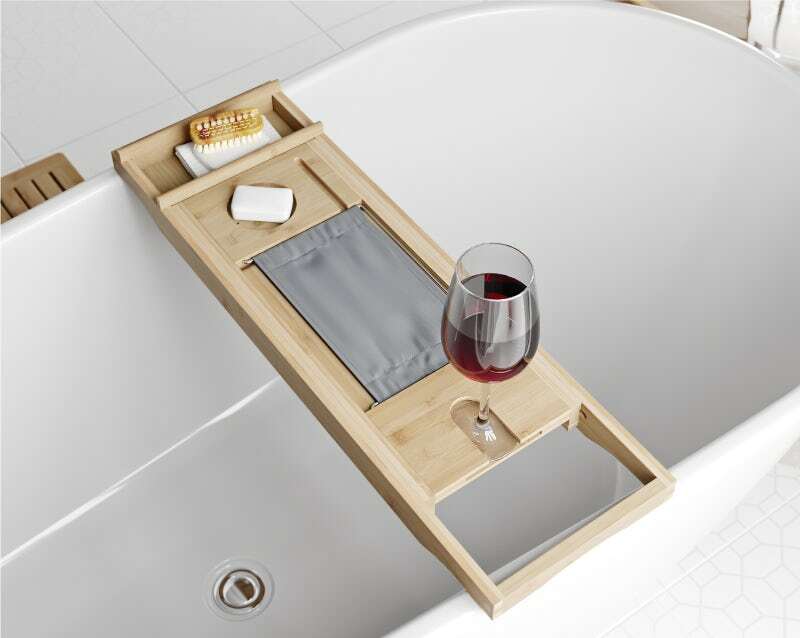 Add a bath pillow, some mood lighting and your favourite tipple, and you’re all set. Place shelving or a stool next to your bath and you have the perfect place to set your book or E reader down, without it getting dripped on. So, all that's left to do is choose the perfect book to read in the bath. If you’ve ever pondered the universe whilst soaking in the tub, this one’s for you. The late, great Stephen Hawking had a brain many of us could only dream of. A brief history of time explores some of the most fundamental questions we humans ever ask ourselves, like “why are we here?” and “where are we headed”? Despite being a non-fiction book about science, Hawking manages to explain all his theories in a manner that is easy to understand and will even make you question how bubbles came to exist. Published in 1961, a time when the American civil rights movement was in full swing, this Pulitzer prize-winning novel explores the morality of human beings. Set during the depression era, the book delves deeply into serious issues such as racism and social inequality. Despite this, it tells the story in a good-humoured way, which is probably why it has become a standard text for schools, not just in America but throughout the world. They may be primarily aimed at children but the Harry Potter series of books have become such a hit with adults that "adult" covers were even created, to appeal to an older audience. If you haven't ventured into the enchanting, wizarding world of Harry, Hermione and Ron, you're in for a treat. We'd recommend reading them in order but if you don't have that much time to spare, "Harry Potter and the Goblet of Fire" is a thrilling read, with a haunted bathroom thrown in for good measure! Why not the scene with your own enchanted bathroom? This satirical novel, first published in the 1960s, is as well-known for the ingenious style in which it’s written than it is for its plotline. With multiple versions of events, recounted by different characters in a seemingly out-of-sequence manner, the story revolves around a group of US airmen during World War II and their struggles to survive the conflict. “Logically irrational” is one phrase that has been used to describe this book! A great choice if you're thinking of spending a few hours in the tub. As relevant today as it has ever been, 1984 is an absolute classic of the science fiction genre. When it was published in 1949, Orwell told the story of a dystopian future (which, slightly confusingly for us, is now in the past) where people were told what to think and do, setting alarming parallels with modern advertising methods. It spawned many phrases which we are all now familiar with, such as "Big Brother" and "Room 101". A fascinating read which will really make you think. Interest in this classic novel was reignited in 2013 thanks to a typically decadent Baz Luhrmann film adaptation starring Leonardo di Caprio as the lead character. This book will transport you back in time to the golden era of 1920s America, where jazz and wealth ruled. Whilst the story follows a doomed love affair, it also explores the notions of the American Dream, material wealth and excess. 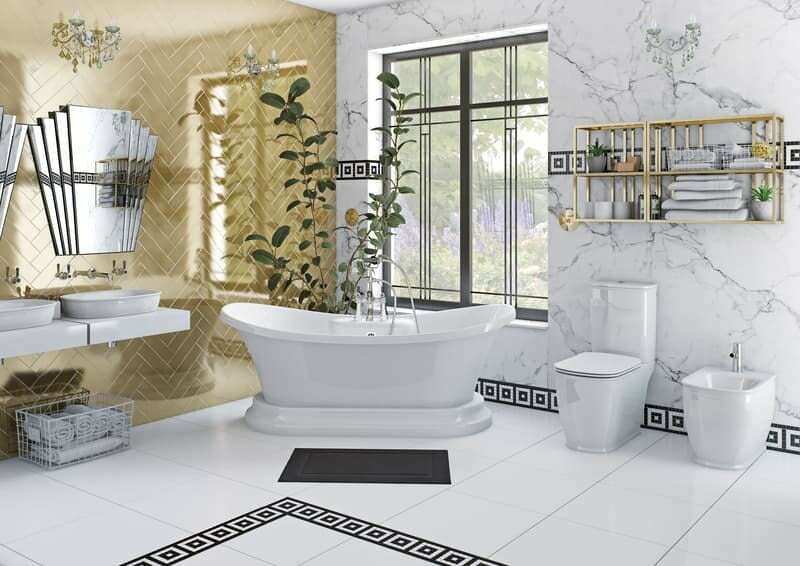 If you're feeling suitably inspired by this time period, why not create your own Art Deco bathroom, like the one below? Jane Austen's romantic novel is certainly one to get all dreamy-eyed about whilst lazing in the tub. A story of flirtation and intrigue, set in the early 1800s, the main character Elizabeth falls hopelessly in love with the seemingly aloof Mr Darcy (played famously by Colin Firth). Darcy ultimately must overcome his pride, whilst Elizabeth overcomes her prejudice to finally appreciate their feelings for each other. Written in the Regency period, this book has been a firm favourite for over 2 centuries and is best enjoyed in a Victorian bathroom setting. Recalling his own experiences of taste-testing chocolate as a schoolboy in Somerset, Roald Dahl is the master of wordplay, creating whimsical turns of phrase that have entered our own lexicons. Another children's book that has become a firm favourite with people of all ages, Charlie and the Chocolate Factory carries a cautionary tale about the dangers of greed, gluttony, selfishness and other excesses. And what better way to spend a relaxing bath than with some accompanying chocolates on the side? An oldie but a goldie, Robinson Crusoe is recognised by some as the first true English language novel. Published way back in 1719, it is written in the style of an autobiography about living as a castaway on a Caribbean island. Many believe it is based on the life of Alexander Selkirk, who lived a similar life on what is now known as "Robinson Crusoe Island" in the Pacific Ocean. If you really want to get away from it all and experience solitude, this is a great choice. You could even take things a step further with your own tropical bathroom. Well, we couldn’t leave this one off the list, could we? First published in the early years of the 21st century, it has developed into an absolute classic of its genre. With tales of inspirational bathrooms at affordable prices, it’s 148 pages of sheer bathroom bliss. Find out how to order yours for FREE today. What do you think about our list of the best books to read in the bath? Let us know by following us on social media and leaving us a comment. 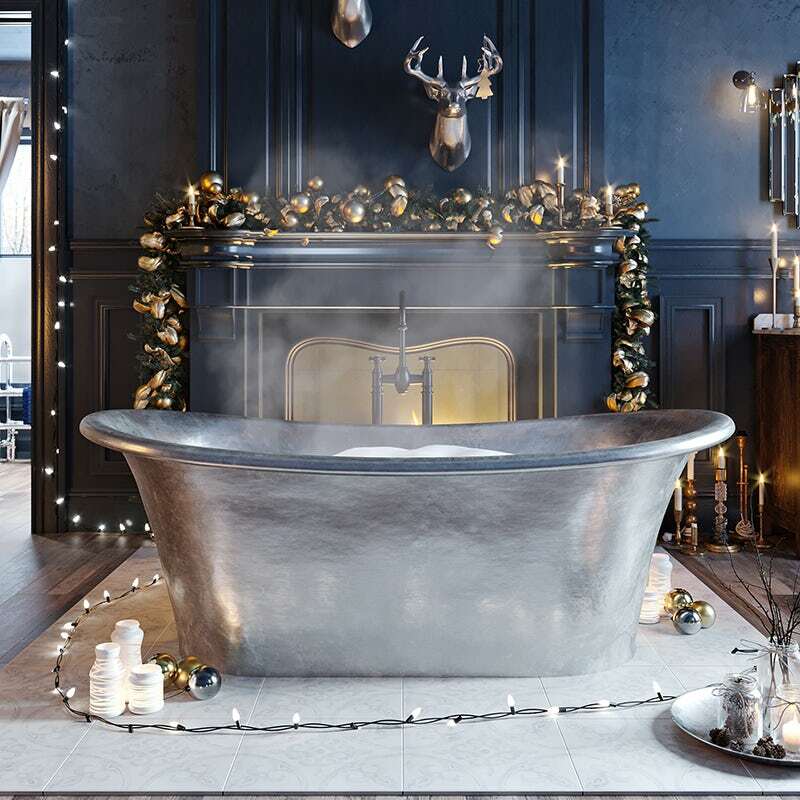 With a chill in the air and the glittering signs of Christmas upon us, we’ve taken this magical time of year and combined it with the latest interior design trends to create our very latest “Get the look”: Enchanted Winter. With recent films such as The Great Gatsby and period dramas like Downton Abbey, the interest in style from the early 20th Century is stronger than ever. In particular, art deco is a style that is luxurious and never seems to go out of fashion.